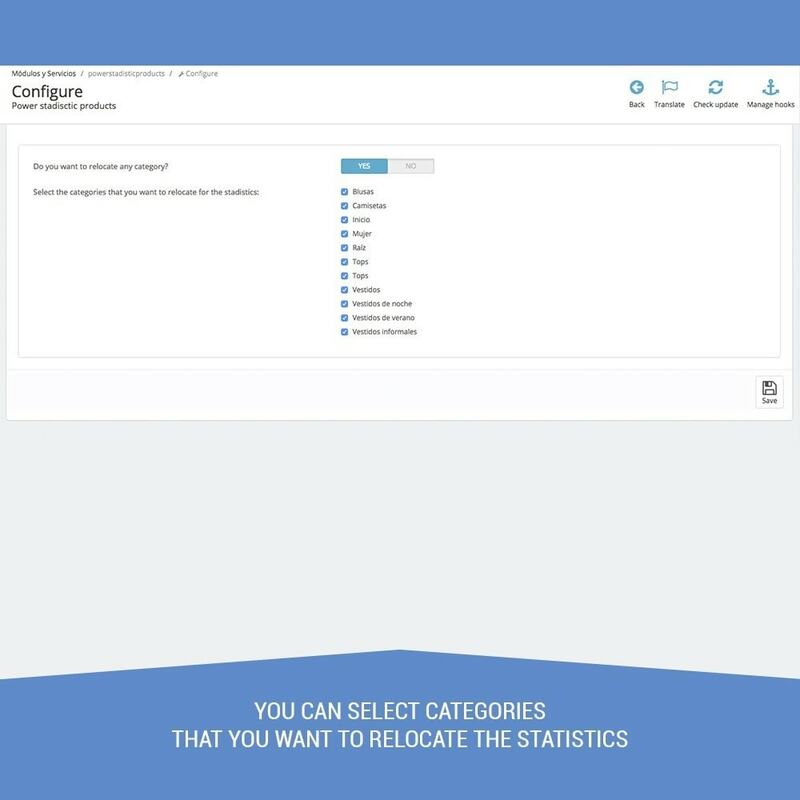 This module shows all your sales yearly by brands or by categories, it will predict your future purchases management based on your sales. It offers a global vision of the rentability of the brands, products and categories that has a better saleability, and shows the periods where the sales grows because this stadistics are displayed in a monthly way. 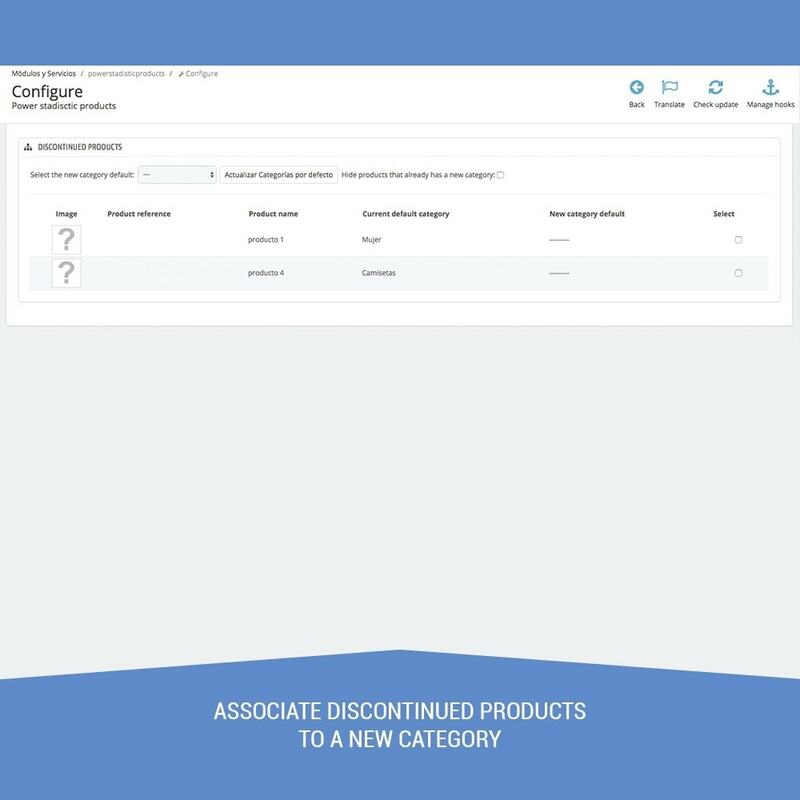 You can see the average sale price of your products, this functionality allows you to know which period of the year your products have a better rentability. You can export to a excel file all this detailed information of your products and previsions in order to make the orders to your suppliers. Yearly sales stadistics group by months of all your products. Quick access to the order details through the stadistic table to check your orders. 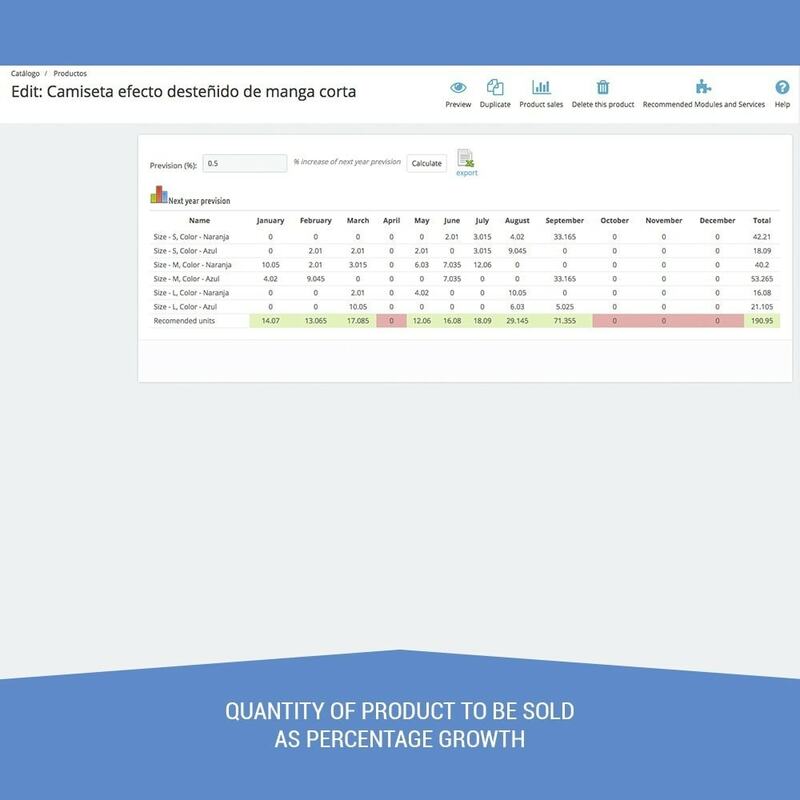 It allows you to visualize the yearly or monthly sales quantity of your products. It allows you to visualize the average price of each product to see its evolution. It allows you to make a prevision of your sales for the next year suggesting a % of a stimate growing. It allows you to visualize the manufacturer sales grouup by categories to see the rentability of your products groups. 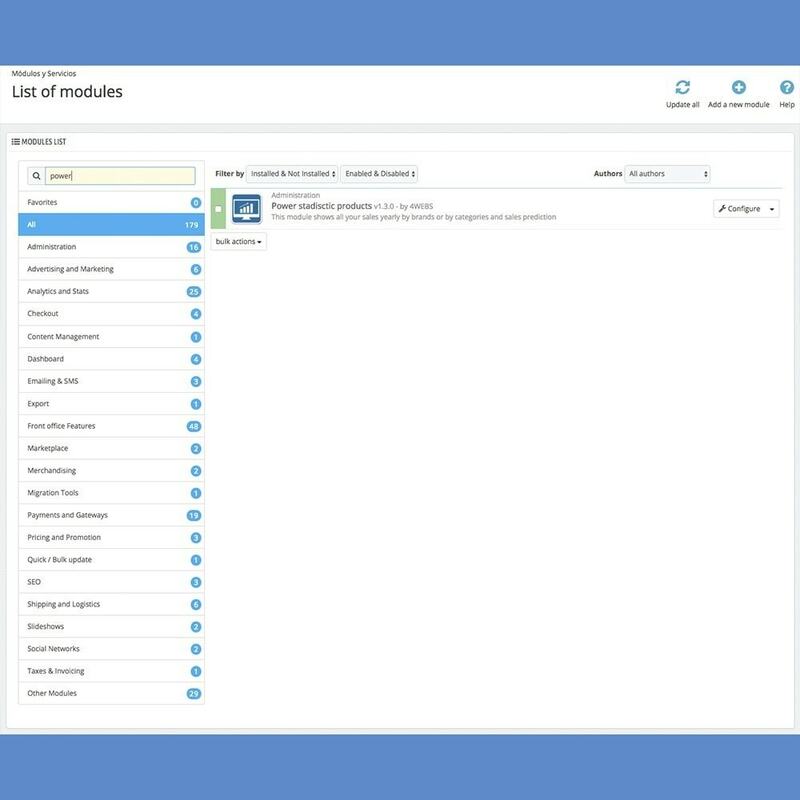 It allows you to export the data by brands to a Excel file to study it. 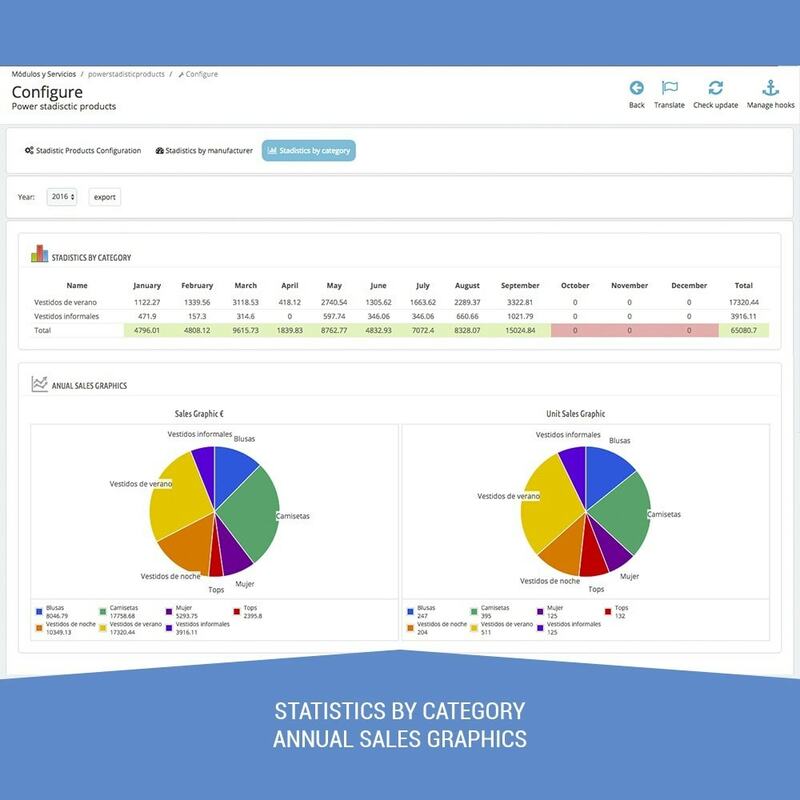 It allows you to visualize the sales by categoies of all your brands in a monthly way. 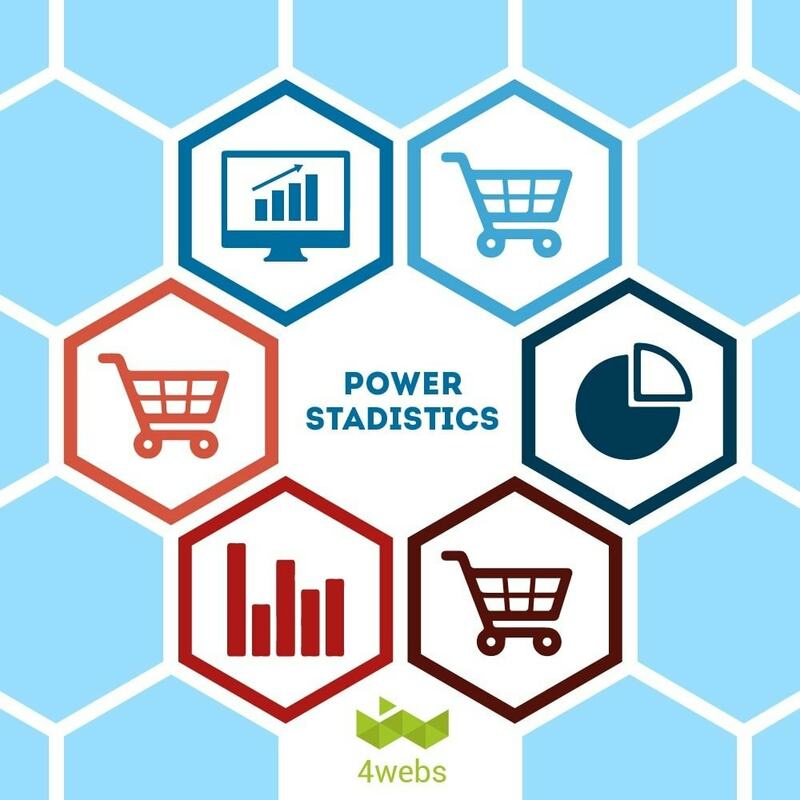 It allows you to visualize the total unit sold of each category by brand or by category. 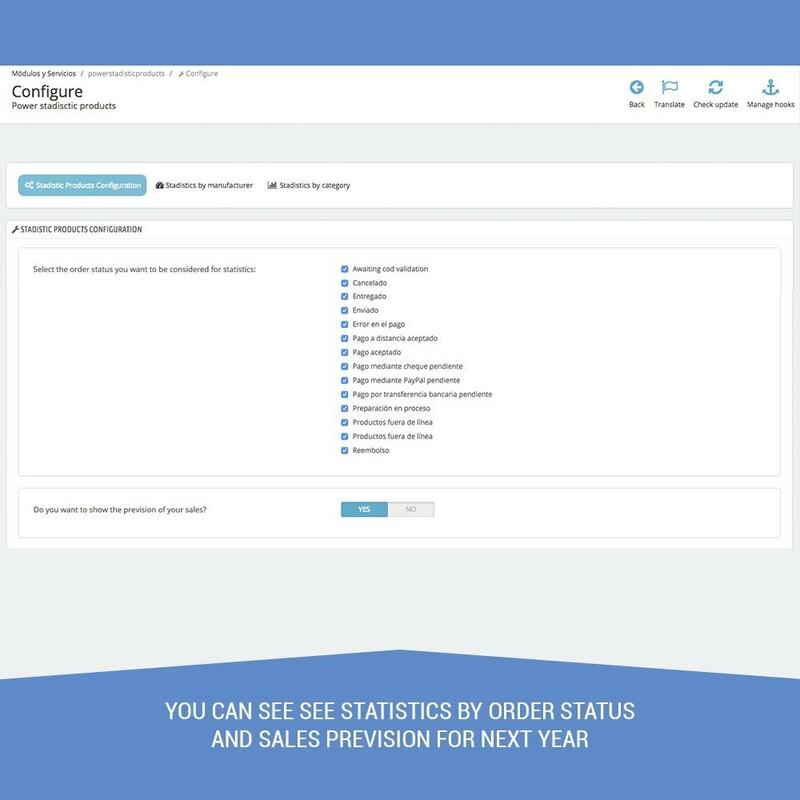 It allows you to select the orders states that you want to keep in mind. For example, “cancelled”, “sold out” or whatever, you can to discard them in order that the stadistics don't count with them. Is important to keep your products and orders of yor shop if you want to have a accurate information. Don't delete them.